We gave out candy to 196 kids plus one father in a Rush concert shirt. A good night by anyone’s standard. And technologically, it was a thing of beauty. I have to say that the start of the evening was looking grim. The wind had picked up. The whole rig was in danger of becoming a sail. My neighbor was still mocking me about the fantastic set of hooters I had constructed above the doorway. Then the sun went over the horizon and all was good. The video screens lit up and the sound was turned on. It all just… worked. As if I had just gone out and bought the system at some yuppie Halloween superstore (something I was accused of several times). The key thing here is, in fact, the sound. 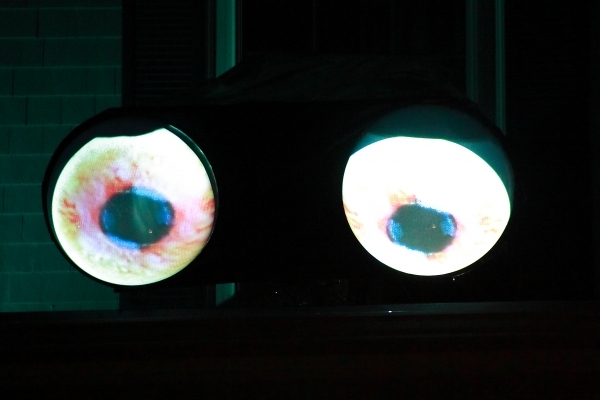 Yes the eyeballs have sound. No it doesn’t make any sense, but it’s just one of those things I’ve learned that everything must have a sound to have an identity. So I gave it a voice and you can hear it in the video below. The other thing I have learned is that there is no substitute for proper amplification. This year I employed the Roland KC-350 combo amp which made the house shake. It could be heard a block away. It made dogs howl. Anyway, kids were truly mesmerized. I’m used to the parents wanting to take a second look, but children actually delayed their pursuit of sugar to stand and stare. There is no higher complement. Thanks to all who dropped by. For those who couldn’t, this please enjoy the video. And don’t forget to turn the sound up. 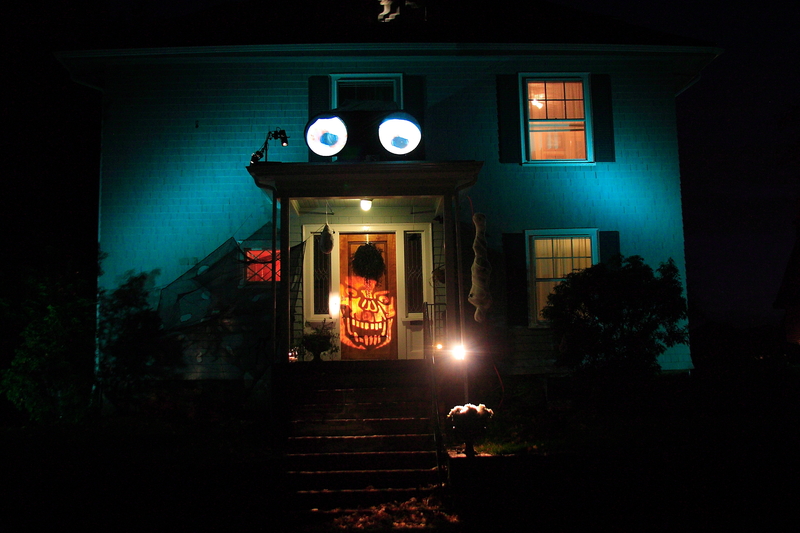 Posted in Halloween and tagged amplification, howling, Rush on November 1, 2009 by Doug.